What is it? We all enjoy dice roling, and then not having to always accept the dice's outcome. Many of us have enjoyed bingo and marking our way to victory on scoresheets and we ALL love jeering at others misfortune with Lady Luck. Still with me? Well I'll explain Qwixx-ly why this game might be for you. It comes as no surprise to my friends and family that some days I just dont feel like thinking. I dont feel like planning the most amazing journey across plains, through jungles, battling through graveyards to save the Kingdom. My mind blanks at the thought of orchestrating the planning of a city ensuring that each building optimally reciprocates benefits to those that surround it. Some days I want to watch a game unfold in front of me as Lady Luck weaves my fate and I just have to answer yes, or no. Those are the days when I love to play Qwixx. So after that introduction I should be able to sum up Qwixx in a paragraph or less right? 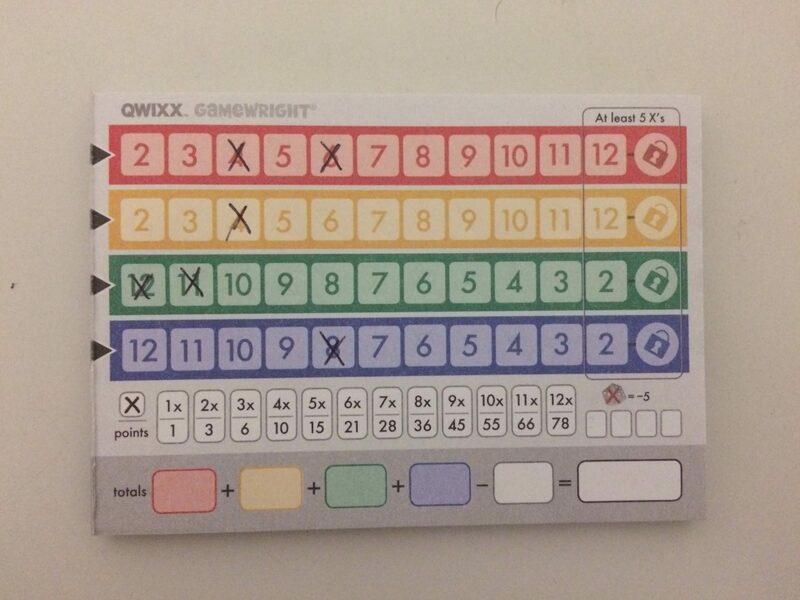 Essentially, Qwixx is a roll and write game from GameWright Games for 2-5 players. Each player receives a scorecard with four rows of coloured numbers (Green, Red, Blue, Yellow) from 2-12 with the aim of crossing off the most points in a row by end of the game for scoring. On your turn the active player will roll all 6 of the d6 dice, 2 white dice and one dice of each of the colours of the rows. Then the active player ( as well as other players) will choose to cross off a number of any colour row using the sum of the two white dice, or the player can choose to cross off the sum in a row of using the sum of the corresponding colour dice plus 1 of the white dice. 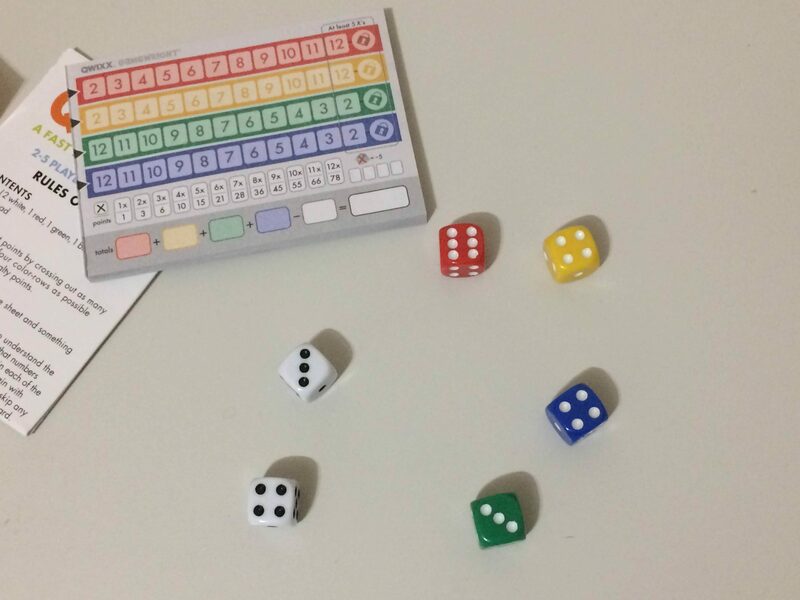 Only the active player can choose to cross off a number using the colour dice option and they are the only player who must cross of a number that round as for other players it is optional. Once all players have chosen to mark off a number, the dice are passed left and the next player tosses the dice to dance to the tune of Lady Luck. So if you’re trying to mark off as many numbers in the row as possible, why wouldn’t you cross off numbers where able on other people’s turns? Well this is where Qwixx subverts the conventional Bingo mechanic. Once you have crossed off a number on the row, you are no longer able to cross off numbers to the left of any numbers marked off. This means for both yellow and red lines (ascending from 2-12) you’re aiming to cross off low numbers early on in the game and in green and blue (descending 12-2) you’re looking to cross off the high numbers early. Therefore early game 6’s and 7’s from the white dice are not favourable to any players as they’ll immediately limit your options later in the game for that row. So sure, you’ll just avoid marking off numbers when other people are rolling then right? Well, no. Players are also racing to fill their rows with at least 5 numbers marked off and then to hit that right most number (2 or 12) to be able to lock a row. Once rows are locked, that colour dice is removed from the game and no players may make any further marks in that row, so you’ll want to get as many numbers crossed off before someone locks off scoring opportunities. Once two rows have been locked, the game will also end immediately. And what if you’ve pushed things a little too hard and it comes to your roll and you can’t legally cross off any numbers on your sheet? Well… you’re going to get a penalty of minus 5 points, marking off one of your 4 penalty boxes on your score sheet. If no player has locked two rows and someone crosses off their 4th penalty box, the game ends and scores are tallied. Players add each of their totals for each colour subtracting any negative penalty points and a winner is determined. 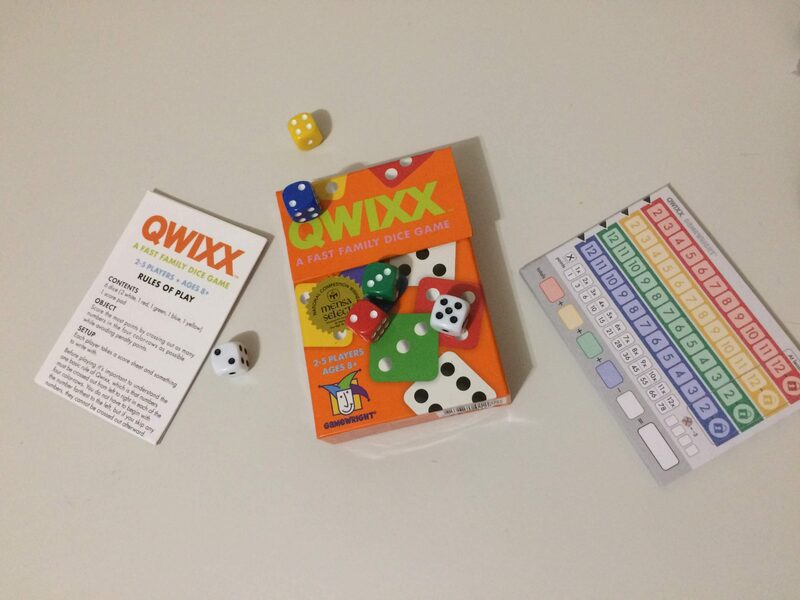 Qwixx fills a very particular niche in my collection of games that I can play when people want to have the interaction of a fun activity without needing to listen to rules, analyse situational plays of others around the table or suffer from any downtime, as they’re involved on every turn. You’re deciding how far you want to push your luck and where to make decisions, but there is never much doubt as to what your optimal play is. It has all the hallmark moments of simple games of chance, while allowing yourself a thin element of being able to control the action and is a great little gateway game for you to play with friends and family. It’s friendly competition, with players interacting on each others rolls, but without any confrontation of your choices negatively affecting others, meaning its a great game to draw in new players. You’ll offer advice on what may be their best move, you’ll ease them into the world of gaming with a title that tweaks an instinctual gaming experience to something with a little more. 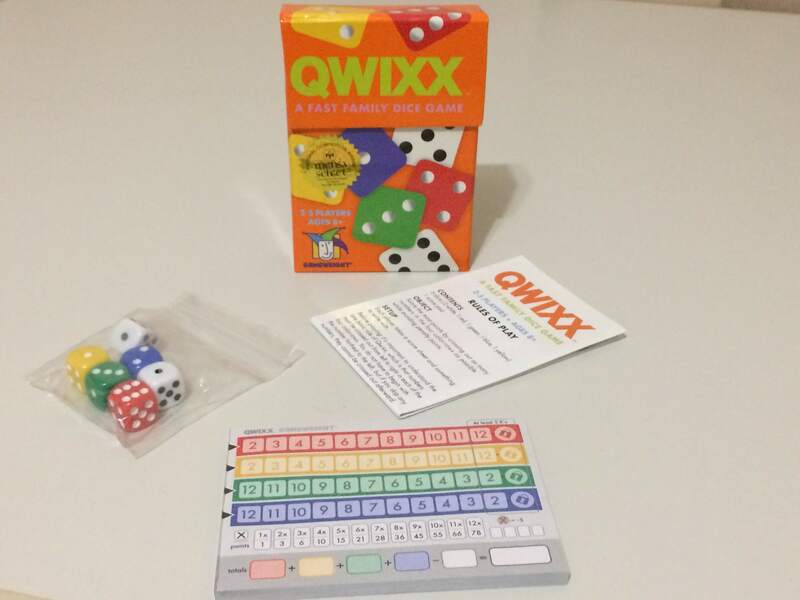 Whilst nominated for a Spiel Des Jahres and winning a Mensa Award as well as Golden Geek Awards, Qwixx is not a game with endless variability, nor is it a game of magnificent components or dazzlingly intricate gameplay. 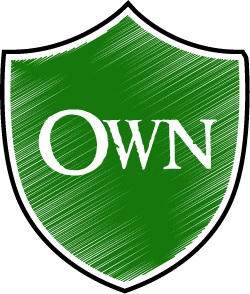 Instead, Qwixx is a delightfully fun experience that I can play with anyone and costs less than a pizza. I can take it anywhere and can teach it in less than 5 minutes. Qwizz is about the shared experience of managing luck and chance before tallying up a score and celebrating a winner, then immediately tearing off a new scorecard to start it all over again. This is why Qwixx for me is a little triumphant gem in board gaming, bringing gaming to more people. It’s a great game for slowing down and relaxing moments around a table with friends before a bigger game, or simply as an afternoon of playtime with family, and I really hope more people pick up a copy of Qwixx.